Which subject have you failed if the TYBMS Sem 5 CBSGS result is UNSUCCESSFUL? Home Which subject have you failed if the TYBMS Sem 5 CBSGS result is UNSUCCESSFUL? Does your results show UNSUCCESSFUL? If yes, it means that you have ATKT on any 1 or more than 1 subject. The subject which you have got ATKT, you would get to know when the mark lists would arrive in college in a day or 2. How was FM Exam 2013-14 Checking? 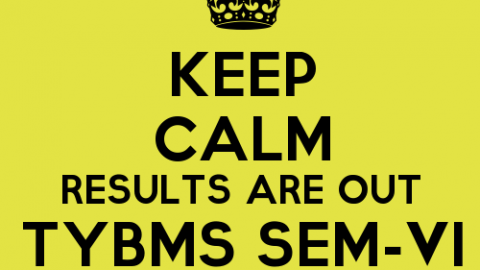 How many GRACE marks have been given in TYBMS Sem 5 CBSGS Results 2013-14? Frustrated with results and wanna protest against MU? Is Passing % For TYBMS Sem 5 CBSGS 2013-14 Only 40%? M.A. Part I and Part II Results 2013 declared! Does Your TYBMS Sem 5 CBSGS Results show - "No Such Seat No!! "Can We Apply For Revaluation For Financial Management Paper?